Moving day-delayed post – it's a mums word.. It has been no mean feat, and the husband has worked tirelessly for 9+ hours daily, stripping wallpapers, installing new radiators (and plumbing them), rewiring and God even knows what else. The whole house has been stripped, gutted, replastered, painted and the carpet going in today is the final big thing, so all being well, we are moving in tomorrow. Being so heavily pregnant I have had to take a back seat, so have avoided spending time at the new house due to dust and paint fumes, and instead have had the luxury of picking paint colours and furnishings from the comfort of my mums house. I am lucky to have such a hardworking husband and family who have helped us out a lot! We couldn’t have done it without them. The last couple of weeks of my pregnancy have gotten tougher, I now struggle with sleep, backache and swollen ankles, I am now looking forward to meeting my baby and my body getting back to normal (I hope). 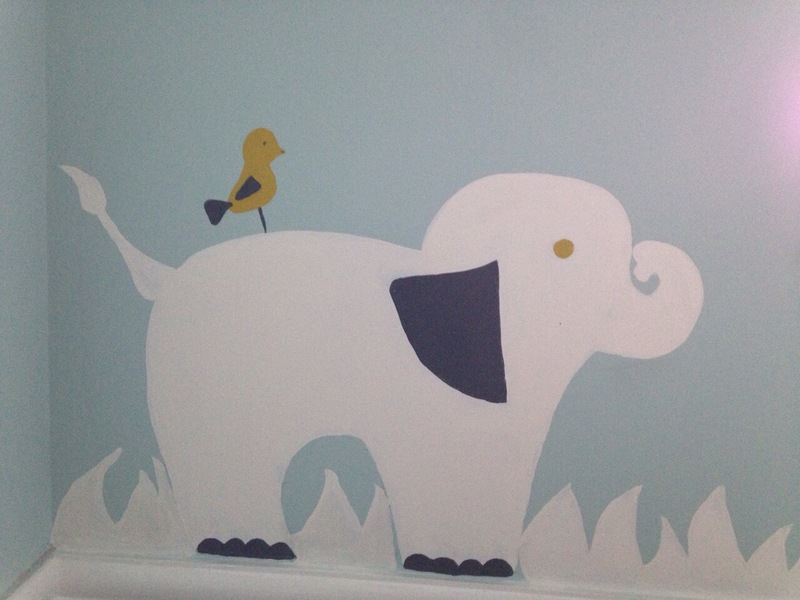 My favourite room that we have renovated is the nursery. 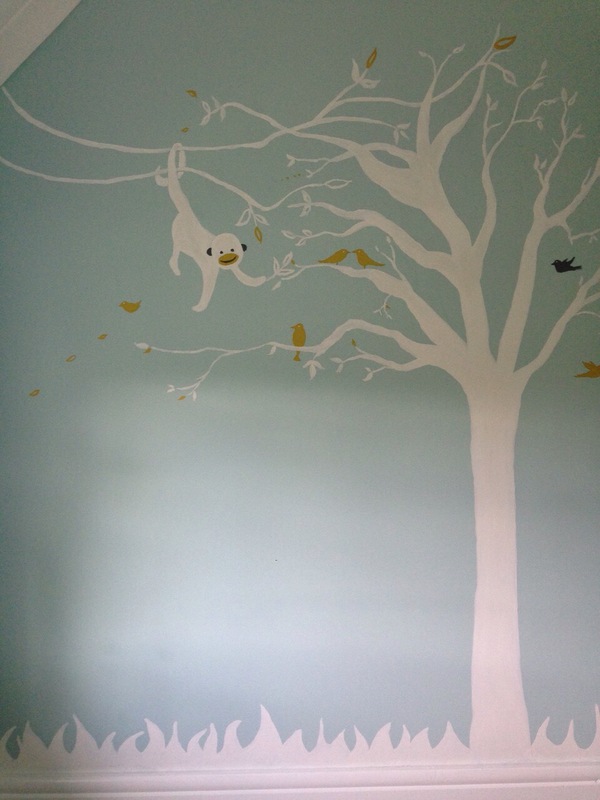 My sister and cousin spent a day painting a jungle theme onto the freshly painted walls and it looks great. All we need now is furniture, but one step at a time! 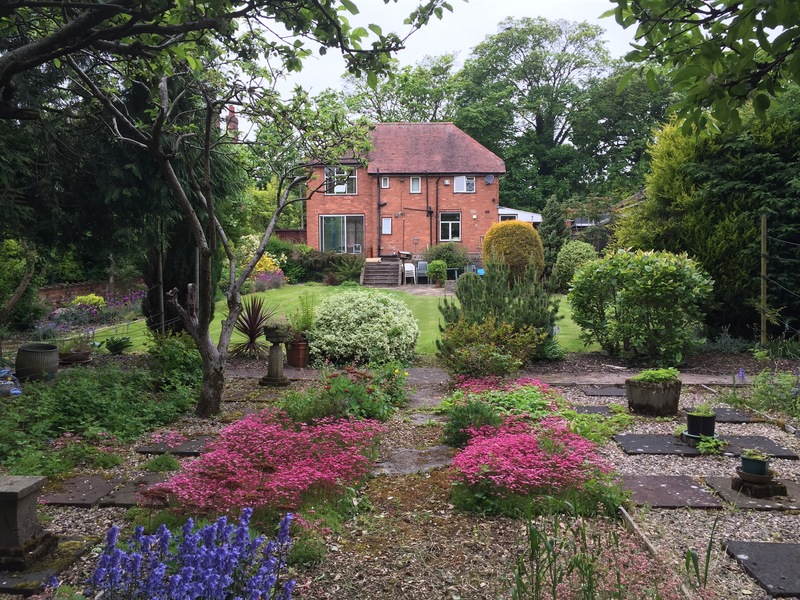 I have included some photo’s of the new house, so excited and relieved that we made it to the new house without bumpy’s arrival.